My old friend has a dream about a return to Taiping. He wants to retire to the city where he grew up, where the rich tapestry of historical events are stitched into the mind of his childhood memories. You can not blame my friend, that he has left town when he was young. No, don't do that. It is so vast and impersonal in the capital of Malaysia. Neighbors have become names and anonymous shadows. So, my friend wants to return to Taiping, to his old neighbours, for his steadfast friends, to the butcher in the old market. He wants to join the club. He wants to make a daily evening walk around the lake with other retired comrades. Taiping is an addiction for him. A pint for dinner in the old club in the evening is not a must for him. He longs for the long-awaited social events. Life goes in a way where where you have to pay cash for the finer things in life. Unfortunately, the fast-growing Asian economies tend to forget that life is not about fast cars and mansions. My friend is going to come back to Taiping. The town where he was born. I know that for sure. The Lake Gardens of Taiping were originally a mining ground, before it was established as a public garden in 1880. The garden was developed by Charles Compton Reade, who was also responsible for planning the Kuala Lumpur garden town. The abandoned tin mine ground was donated by Chung Thye Phin as a recreation park for public use. In 1884 the gardens were planted with grasses, flowers and trees; a part of the gardens was fenced, to keep bulls out. The Lake Gardens has been well-maintained since its opening. There are ten scenic lakes and ponds, which highlight the gardens. There are few private and government houses located near the gardens; among them are the Old Residency, the Raja�s House and the army officers' residences. The streets are shaded by rows of the angsena tree (rain tree), which at irregular intervals bursts forth into a riot of blossoms, even more yellow than those of the laburnum. These it rains down in golden snow upon the streets, providing a carpet fit for a Sultan, for yellow is the royal colour in the East. With its golden snow, the angsena spreads abroad an almost overpowering scent, even more sweet than the smell of the pinang blossom. 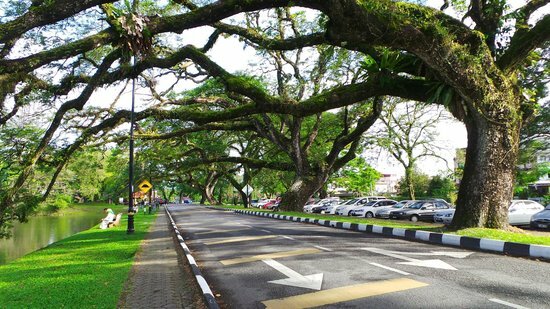 Most of the towns in Malaya have planted this Pterocarpus indicus as shade tree, but in Taiping it has grown to a greater height than elsewhere. The Taiping railway station of the Keretapi Tanah Melayu (Malaysian Railway) was located in Port Weld (now Kuala Sepetang). It was the first railway station and constructed in 1882. 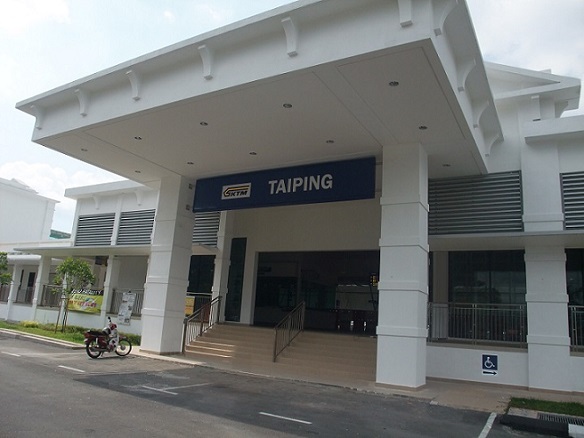 The station is already rebuilt in city of Taiping. It's to facilitate the electrified double track from Ipoh to Padang Besar.The KTM dismantled the rail line in the 1980s. It's now a beautiful railway station (picture below). 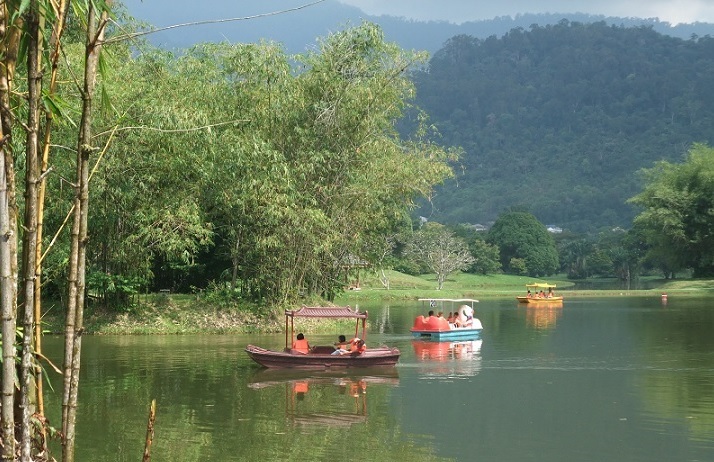 Maxwell Hill (Bukit Larut) - is a hill station at an altitude of about 1000 meters. Bukit Larut is the oldest "hill station" of Malaysia and was founded in 1884. It is ideal for jungle trekking and camping. You will be brought to the top in a four-wheel drive. There is also a possibility to spend the night on the mountain. You better go early to buy a ticket. That can be as early as 8:00 am. You must then specify what time you want to go down. The price is RM5.00 (U.S. $ 1.40) per person, round trip. Once at the top you can go walking. The average length of stay on the mountain is 2 -3 hours. The four-wheel drive brings you to the top in 25 minutes. 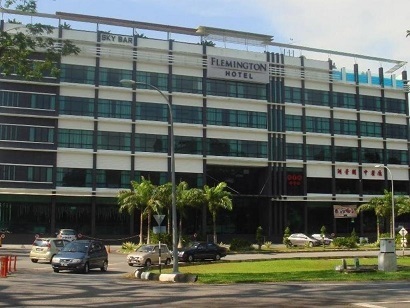 Are you staying in Flemington Hotel, the distance to Bukit Larut is 2 km. The Mangrove Reserve in Kuala Sepetang is worth a visit. Have a look at the special page.